There was further T20 success as our win in the Chris Trafford T20 Cup was followed up with victory over Bassetlaw League T20 champions Anston in the Mapperley Sports Trophy at Edwinstowe. Batting first after Abston won the toss there were significant partnerships between Sam Clulow (47) and Ben Bhabra (74) and then between Ben and Martin Rayner (24*) in a total of 170 for 7 of their 20 overs. Anston were never in the hunt as they struggled to cope with the pace of Ben Bhabra 1 for 7 from 3 overs and the wile of Martin Rayner 3 for 35 from 4 overs. Anston's innings closed on 128 for 6 to bring victory by 42 runs. Overall an excellent performance, with our opponents outplayed in all aspects of the game. 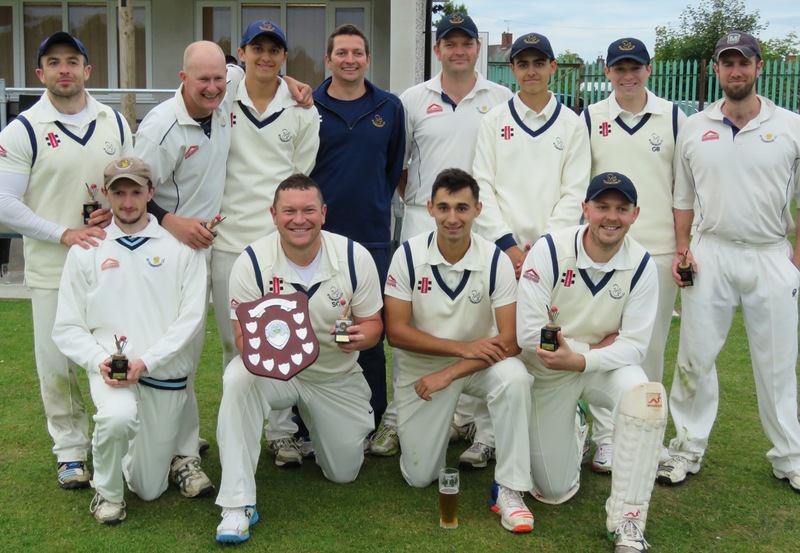 T20 games are coming thick and fast as we next compete against the NPL teams at Cuckney (NG20 9NG) on Sunday (17th). There are three games on the day with Cuckney playing Clifton Village at 10.45am in the first semi final. Attenborough face West Indies Cavaliers at 2.00pm in the second semi final. The final will start at 5.30pm.